News ArticleWoodbridge is a winner! Woodbridge’s high street has been highly commended as one of the best high streets in the whole of the UK. 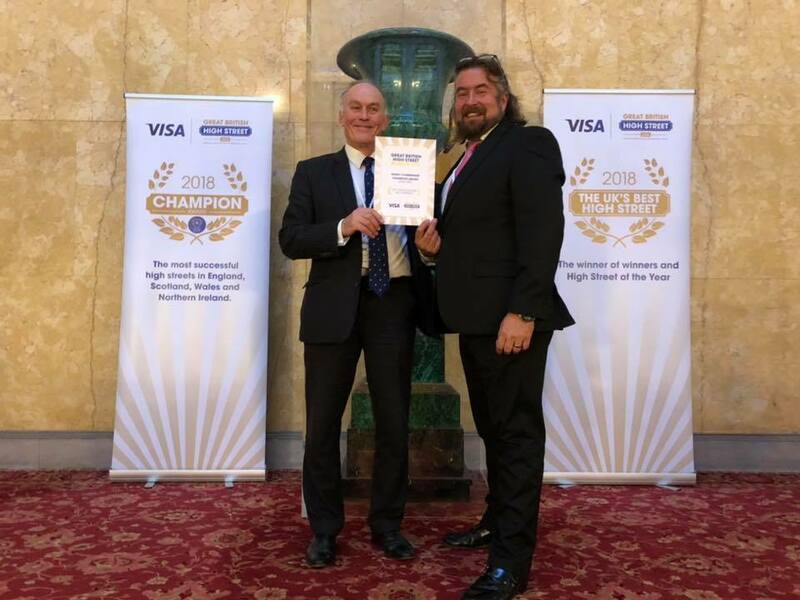 The Thoroughfare won second place for Champion High Street in England at the Great British High Street awards. At a glittering ceremony at Lancaster House in London today, representatives from Choose Woodbridge were presented with a trophy by judges who praised the “community spirit and impressive range of independent shops” in the town. Chairman of Choose Woodbridge James Lightfoot said: “To have been singled out from thousands and thousands of high streets across the country like this is absolutely staggering and we are thrilled. 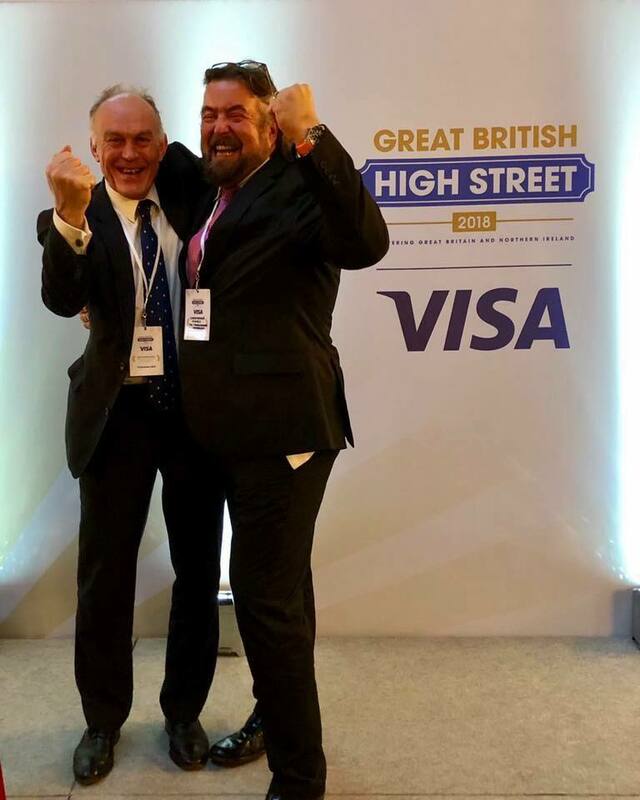 The Great British High Street Awards, run by the Ministry of Housing, Communities & Local Government and sponsored by Visa, celebrate the best town centres across the UK and Woodbridge was one of 26 finalists for the Champion High Street award and the only town in the East to be nominated. Each of the finalists were assessed by the Great British High Street Judges during September and October, with Choose Woodbridge, the business and tourism consortium, leading our town’s presentation. The award represents yet more recognition for Woodbridge which was named one of the best places to live in the UK by The Sunday Times. It also made the top 10 happiest places to live in the UK according to Rightmove. Now, thanks to winning a highly commended title, its high street is set to make waves nationally, boosting tourist numbers in the region and putting the town on the map.